BELOW are a series of Frequently Asked Questions for supporters when accessing QPR+. Who are live streams available for? The vast majority of our live streams are only available to fans outside the UK and Ireland due to the EFL's broadcasting agreement and UEFA regulations. However, new for the 2018/19 season a small selection of matches will be available for domestic supporters. Please see promotional material ahead of matches for further details. I live in Ireland, outside the UK, why can't I watch live streams? Unfortunately, the EFL's broadcast contract with Sky Sports considers the Republic of Ireland a domestic territory and as such prohibits QPR from broadcasting live in that country with the exception of those games that are permitted in the UK also (e.g. midweek 7:45 pm KOs). How do I subscribe for live streams or live commentary? To view live streams or live audio commentary you need to meet the geolocation requirements outlined above and also hold a valid subscription. 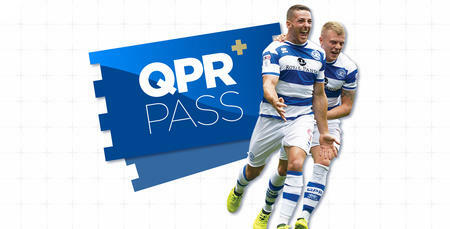 To watch live streams you need to hold either a season QPR+ Pass or a game pass for the specific match. Live audio commentary is available worldwide. To listen to the commentary you need to hold a season or monthly QPR+ Pass. How do I watch the live streams? If you have purchased a QPR+ Pass, either for the season or for a match, then you will be able to watch the match live two ways. Using a PC or Laptop: The live stream will be available from within the Matchday Centre that will appear on the www.qpr.co.uk homepage on matchday. To access it click on the tab that says Live Stream and login with your account. Alternatively, you can also view HERE. Using a smartphone or tablet: Due to restrictions imposed on us by the EFL you are unable to view this via our website. You will need to download the FREE QPR App on Apple or Android to view on one of those devices. PLEASE ENSURE YOU HAVE LOCATION SERVICES ENABLED FOR THE APP AS IT NEEDS THIS TO DETERMINE YOU ARE IN AN ELIGIBLE LOCATION TO WATCH. When we are live the QPR+ logo in the top right-hand corner will be gold. Click on it and select Live Video. Broadcasts will start from approximately 30 mins before kick-off. How do I listen to live commentary? Subscribers to QPR+ Pass can access live match commentary from within our Matchday Centre. The Matchday Centre will go live on the homepage of www.qpr.co.uk on the morning of matches and a link will appear within it one hour before kick-off for you to access the live commentary. Alternatively, you can also listen HERE. You can also access live audio commentary from within the QPR App on Apple or Android devices. When we are live the QPR+ logo in the top right-hand corner will be gold. Click on it and select Live Audio. Please note, due to the EFL broadcasting rights, you will not be able to watch QPR+ through a television, other than using an HDMI cable from a desktop device. All other means are strictly forbidden under this ruling. This includes any airplay devices such as AppleTV and Chromecast along with HDMI leads from these devices. Unfortunately, due to an upgrade to the browser Microsoft Edge, the live stream may not be supported by this browser. We advise that Google Chrome is used as a preferred browser when live streaming games. 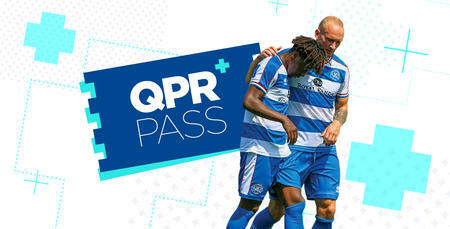 You should log in using the details you signed up with on the QPR website when subscribing to a QPR+ Pass package. It is vital you log in with the same account you purchased your subscription with for the services to work. Seasonal, monthly and matchday packages are available to purchase from HERE. For live streaming, only eligible Championship fixtures will be available. This includes all QPR League matches that have not been selected by Sky Sports or the international broadcaster. For the 2017/18 season, QPR+ was able to broadcast 40 out of 46 matches due to these restrictions as a guide. No Carabao Cup or FA Cup fixtures will be available to live stream. Live commentary subscribers will be able to listen to all competitive first-team fixtures (League and Cup). I've subscribed to a live stream package but you aren't showing the game. What happens? For fixtures, we are prevented from broadcasting as a live stream all subscribers will be supplied with live audio commentary instead. You can email our technical support team at [email protected] who are on hand to help supporters with any issue they may encounter.